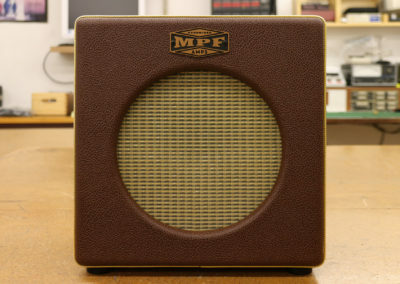 1 watt guitar combo, perfect for practicing and home studio. 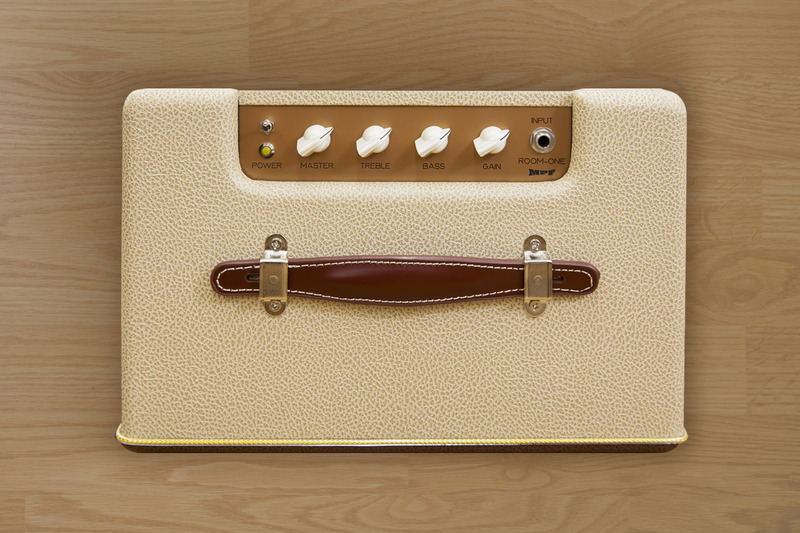 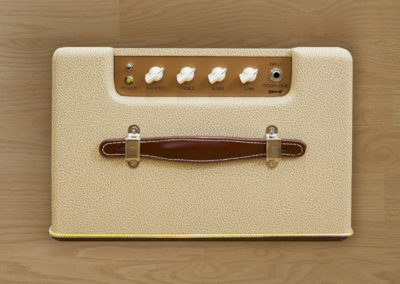 You’ll be surprised by the tone this small amp delivers as well as by the quality of its sound. 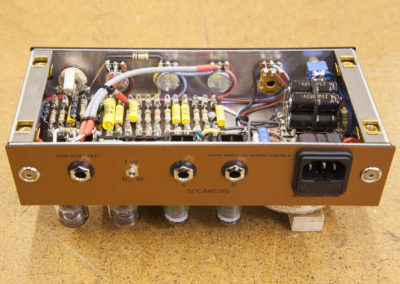 It operates through two General Electric JAN pentode 6AK6 vacuum tubes in the power stage, working in Class A, plus two 12At7 tubes in the preamp and phase inverter sections. 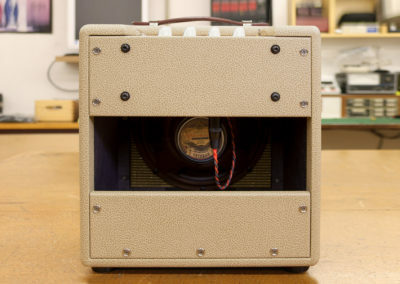 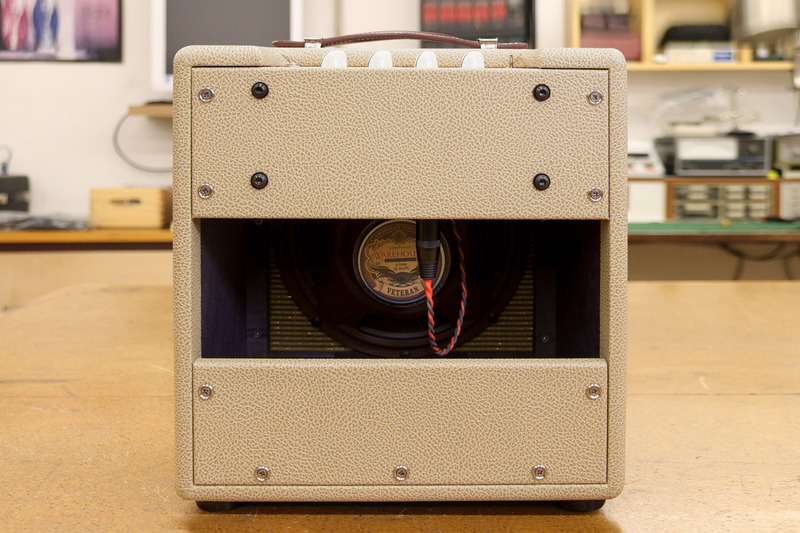 The speaker choice is a 10” WGS Veteran 20w at 8 Ohm. This amp has an exceptional sound quality with a very dynamic tone which offers plenty of body and smooth highs, perfect for anything from pop, jazz, Country or funk to blues and rock. 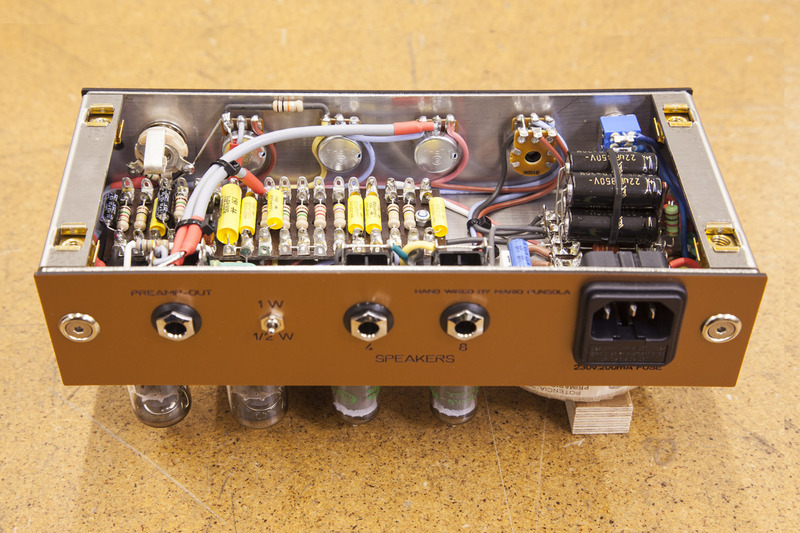 Send us your contact information, we will answer you shortly to resolve all your doubts and if you want to start working on your new amp.